PIPE BEVELING TOOL FEATURES I.D. TRACKER FOR PIPE UP TO 36” DIA. A portable pipe machining and welding end prep tool that includes a dual spring safety hanger for easily maneuvering and precisely aligning it into a large pipe I.D. is available from ESCO Tool of Holliston, Massachusetts. 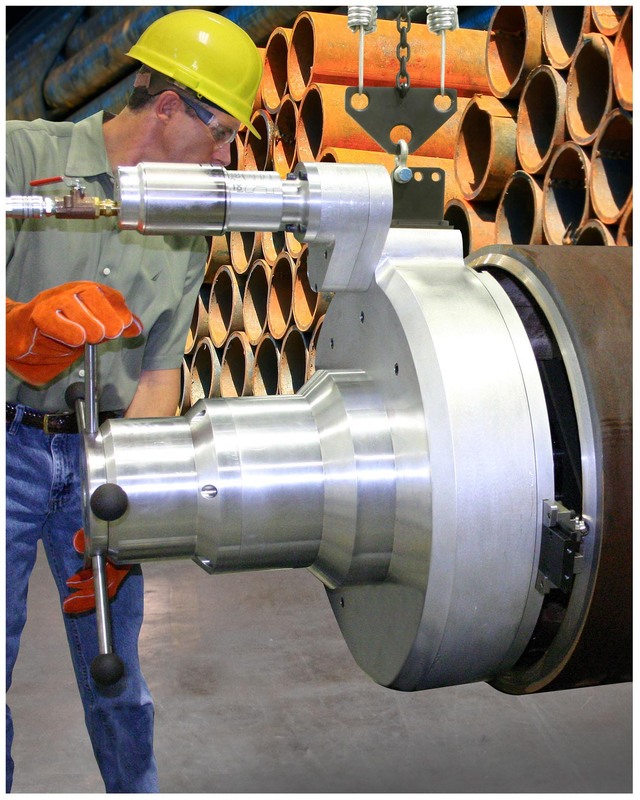 The Terminator MILLHOG® Pipe Beveling Tool is designed for large pipe from 8-5/8” I.D. to 36” O.D. and can bevel, face, and bore simultaneously to produce end preps of any angle, including “j” preps. Easy to maneuver, it comes equipped with a dual spring safety hanger to help align the tool which rigidly clamps to the I.D., has a tracker to compensate for variations in wall thickness, and a precision feed control to advance into the pipe. Providing smooth, torque-free operation, the Terminator MILLHOG® Pipe Beveling Tool is equipped with user-selectable formed TiN coated tool bits and is ideal for any large dia. pipe fabrication that requires welding. Available with a 5 HP pneumatic motor or optional hydraulic motor, appli-cations include oil & gas pipelines and process steam lines. The Terminator MILLHOG® Pipe Beveling Tool is priced from $45,995.00 and is available for rent in the continental U.S.A.